Shuttle is proud to present you the new XPC, SH67H3. The system is powered by the latest Intel® h67 Express chipset featuring the Intel® Core i5-3570K Processor with 3.4 GHz, boost performance up to 3.80GHz spreed to enhance better performance while being energy-saving. Special Pricing and Details! 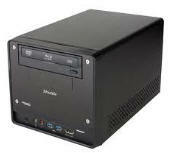 Intel Core i3, 3.4 GHZ, 4.0 GB, 1.0TB, DVD/RW, Intel HD Integrated Graphics, Dell DW1506 (802.11 b/g/n) WLAN half mini-Card. Small in stature, but big in features, the space-saving Inspiron™ 660s helps you quickly connect to your friends, family and multimedia. Special Pricing and Details! The Lenovo ThinkCentre Edge 92z is a stylish all-in-one business desktop PC, perfect for public areas, educational environments and anywhere that space is at a premium; 3.3GHz Intel Core i3 (Dual-Core) Processor, 4GB Memory, 500 GB SATA hard drive, DVD/CD Combo, Microsoft Windows 7 Professional (installed) Special Pricing and Details! Intel Core i3, 3.3 GHZ, 4.0 GB, 500GB, DVD/RW, Intel HD Integrated Graphics, etc. Solid PC performance. The HP Compaq Pro 6300 Small Form Factor is a versatile and powerful PC. Special Pricing and Details! New Lenovo 3000 G550; 2.2GHz Intel Core Duo; 15.4in display, 3GB Memory, 320 GB SATA hard drive, DVD-RW Combo, Built-In Web Camera, Wireless, Stereo Speakers, Microsoft Windows XP Professional (installed) with Windows 7 license. Special Pricing and Details! 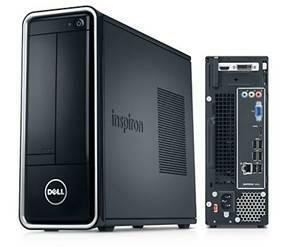 Dual Xeon 3.6 GHz, 4GB RAM, (4) 72 GB Hard Drives, CD, Rack-Mount Case (2U), integrated RAID-1 Special Pricing and Details! home and office. Special Pricing and Details! The NexStar 3 is an ideal way to store and transfer large amounts of data in an enclosure that matches your style! Use this drive to backup your PC or as extra storage. Quick and easy installation. Special Pricing and Details! 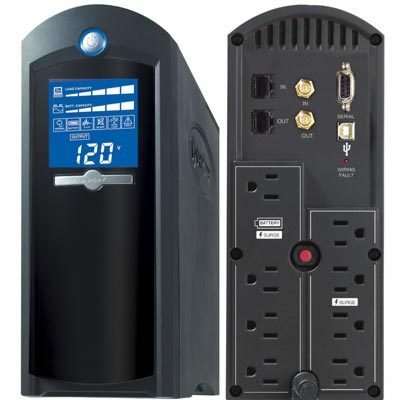 Intelligent LCD CP1350AVRLCD uninterruptible power supply (UPS) for mid to high-end computer systems, features dynamic line conditioning to guard against surges/spikes and offers battery backup in the event of brownouts or blackouts. Special Pricing and Details! The latest operating system, Microsoft Windows 10, is available from us! 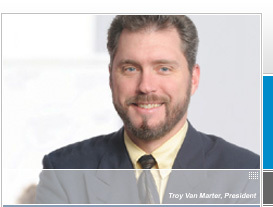 Click here to get acquainted; learn what is new and how to use it. Whether you have Windows XP, Vista, Windows 7 or Windows 8, Stratagem Technical Services can upgrade or migrate you to Windows 10. We make it simple, call us today! 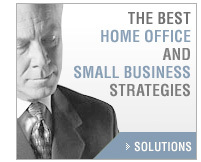 Earn $20 when someone you refer to Stratagem Technical Services becomes a new customer. Call for program details. Stratagem Technical Services, LLC is an Oxford, Connecticut, computer and website hosting services company serving business and residential customers throughout Connecticut and New York in communities such as Oxford (CT), Seymour (CT), Derby (CT), Ansonia (CT), Bethel (CT), Bridgeport (CT), Brookfield (CT), Danbury (CT), Darien (CT), Easton (CT), Fairfield (CT), Newtown (CT), Greenwich (CT), Monroe (CT), New Canaan (CT), New Fairfield (CT), Newtown (CT), Norwalk (CT), Redding (CT), Ridgefield (CT), Shelton (CT), Sherman (CT), Stamford (CT), Stratford (CT), Trumbull (CT), Weston (CT), Westport (CT), Wilton (CT), Beacon Falls (CT), Bethany (CT), Branford (CT), Cheshire (CT), East Haven (CT), Guilford (CT), Hamden (CT), Madison (CT), Meriden (CT), Middlebury (CT), Milford Naugatuck (CT), New Haven (CT), North Branford (CT), North Haven (CT), Orange (CT), Prospect (CT), Southbury (CT), Wallingford (CT), Waterbury (CT), West Haven (CT), Wolcott (CT) and Woodbridge (CT), Woodbury (CT), Roxbury (CT), Bridgewater (CT), and cities such as White Plains, Port Chester, Rye, Armonk, and Valhalla NY; and New York, NY. We offer our customers onsite computer service, repairs, upgrades and installation, and custom built computers. We also offer hardware and software sales, printer sales and service, Internet hosting, website design, home and small business network installation and management, wired and wireless network installation, server sales and installation.